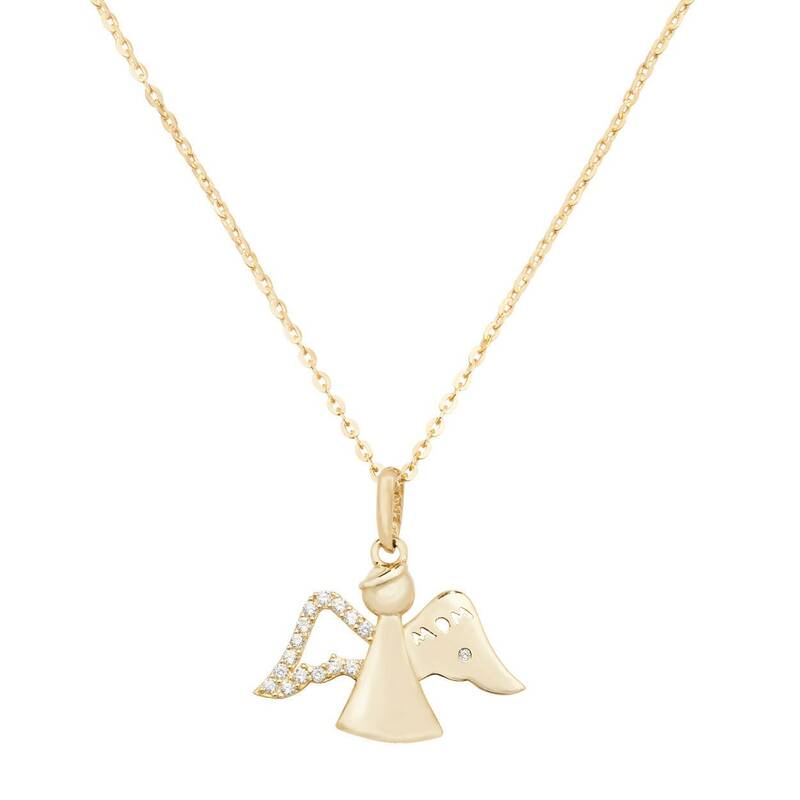 A charming 9ct yellow gold guardian angel pendant set with cubic zirconia stones. Pendant size approx 1.5cm x 1.7cm(excluding bale). The chain extends from 16" to 18" length.